Marc Guberti is a digital marketing expert. He is an entrepreneur and an author with over 80,000 online students. He's the host of the Breakthrough Success Podcast where he and his top-level guests teach you how to take your business to the next level and achieve your breakthrough. His latest book is called Content Marketing Secrets and it teaches people how to create, promote, and optimize content for growth and revenue. 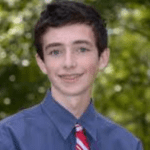 Marc is a social media columnist for the Westchester and Fairfield County Business Journals. He coaches business owners on how to grow and monetize their online businesses. My parents and my family. My mom, father, brother and grandparents. Mindfulness keeps my emotions in check. Sometimes your emotions can run a little wild based on current events. It helps you think about good times and puts a bunch of things into perspective. Breathing is something I do very unconsciously. With running I have a very specific way of breathing; in through the nose and out through the mouth. Apparently runners are supposed to breath in and out through the nose but that's a little too hard for me. App: Find yourself a music App that plays music that helps you meditate. I don't have a specific bullying story but being a Red Sox fan, sometimes Yankie fans can get a little, well not all of them, but some of them … In some of those situations where that happens, mindfulness can help you hit the pause button. It's harder when there's an outside force trying to get your attention. If you get good at doing that with a bad outside force, you get a lot better over time and you just tap into your self-worth. That's something I believe we're not doing enough. There are a lot of people, myself included, where we have this line of accomplishments and we only look at what we haven't done. If anyone's trying to shatter you, just look back to your accomplishments, to things that make you feel proud and feel really good about yourself. You can bring those things to light. Realize you have this impressive track record and then words don't mean anything. If this is more of an internal battle, you'll be able to use this to propel yourself and get to the summit. Thinking of launching your own podcast???? You’ll need a host, a place to upload your episodes. 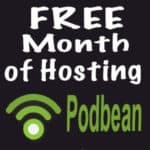 Podbean is awesome.